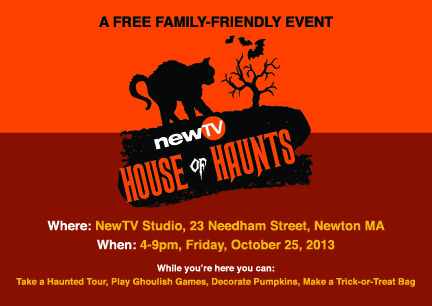 NewTV’s hosting its first ever Halloween event! NewTV’s “Haunted Haunts” event is happening on Oct. 25 at the NewTV Studio. Join them for a FREE fun and kid-friendly after school event that will unite families and kids from our community and the different elementary schools.